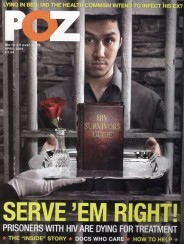 The POZ 100 list celebrates people working to end the HIV/AIDS epidemic. In the past, we’ve highlighted groups such as researchers, youth and long-term survivors, but this year we’re focusing on a geographic region: the South. On the flip side, the South is also home to a diverse and inspiring range of people dedicated to elevating lives and improving the health and well-being of those in their communities. We celebrate 100 of them here. You’ll meet professional AIDS advocates and part-time volunteers, members of the black church and an atheist from Black Lives Matter, scientists and stay-at-home moms, social workers and those who work social media, and people who are living with the virus and those who are not. 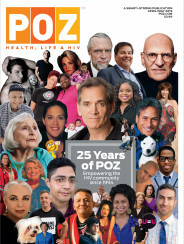 And because HIV doesn’t discriminate, you’ll meet honorees spanning a range of socioeconomic backgrounds, sexual identities and ethnicities— from Latino immigrants to same-gender-loving African Americans—who hail from places as diverse as rural areas, small towns, suburbs and big cities. Since there are varying ways to define what constitutes the South, we decided to go with the U.S. Census Bureau’s definition, which is also used by the Centers for Disease Control and Prevention: Alabama, Arkansas, Delaware, the District of Columbia, Florida, Georgia, Kentucky, Louisiana, Maryland, Mississippi, North Carolina, Oklahoma, South Carolina, Tennessee, Texas, Virginia and West Virginia. These 16 states plus DC make up 37 percent of the U.S. population but account for 44 percent of Americans living with the virus. 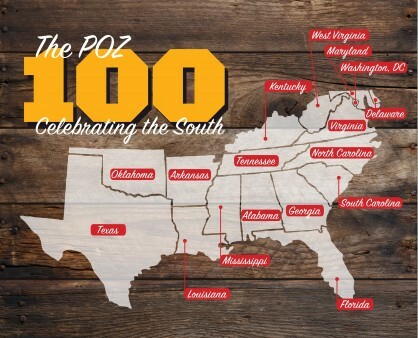 The HIV epidemic in the South is alarming, but, as you’ll discover in the 2016 POZ 100, Southerners are rising to the challenge.